A true Old school classic pheno of Skunk. Never dissapoints, both in taste & strength. I've smoked it since the eighties & never get tired of it. 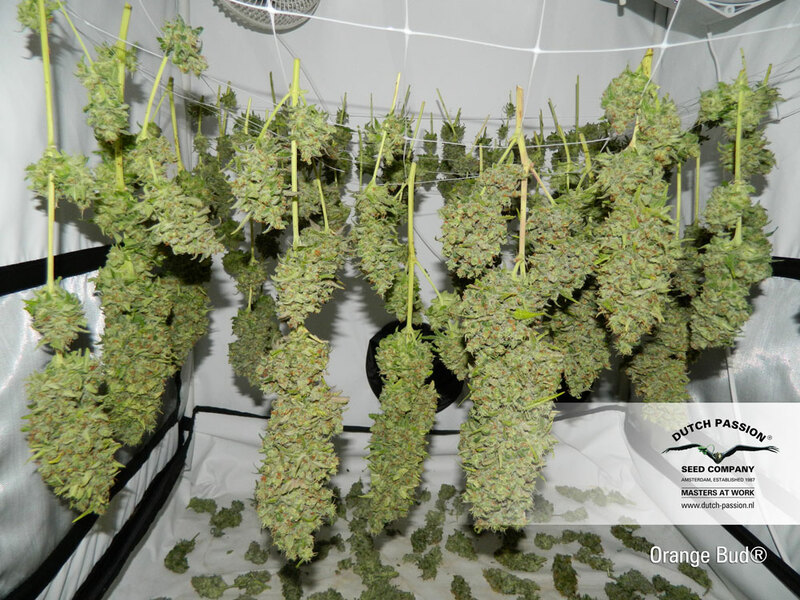 As said easy to grow, it's buds are dense with lots of red hairs & that delicious Orange taste. Now, if only we can get the DP crew to do an Orange Haze, another old school strain little seen at all these days! Also, great customer service . Juj, 1st March 2016. Many people already use Orange Bud for medical purposes. At the moment there are no plans to make a CBD-rich Orange Bud. Smoked it once, the buds were very dense and skunk smelling, with a colorful hint of orange. Got me pretty stoned, and lost in the city I was visiting =) Stronger than average, great taste and smell, that's a good strain for sure! Very good for outdoor grower. In my experience it was faster than Pamir Gold, HH and Voodoo. Good choice! I believe i must try this one to begin with, as this is going to be my first personal growing experience. Placing my order right now. This strain left me absolutely buried alive -in a good way. The next day a real warm and comfortable memory of a very relaxed night. Really lovely smell. Efficient all round! DP have the original Orange Bud and at 30 euros for 10 regular seeds it is decent value when you think about the quality harvest you get from her. This is so easy to grow that anyone will do well with it. Easy to take cuttings from, easy to grow and best of all the bud looks and smells great. Top quality skunk !